Driving and taking care of a Motor home/RV is very different from a car or truck. So, don't make the mistake of trying to insure yours with a traditional "auto" insurance policy. 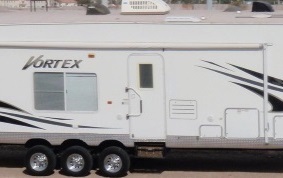 We've been helping RV/Motor home enthusiasts in Tahlequah and throughout the state of Oklahoma for years. You know the outdoors and the open road. We know Insurance! The type of coverage you need and amounts can vary depending on the type of Motor home or RV you have and how you use it. Do you have awnings or antennas? What do you have inside of your Motor home? How often do you use it? Are you a road warrior or an occasional camper? There are a number of things to consider when shopping for the right insurance. American Insurance Group, LLC can help select the right custom Oklahoma RV or Motor home insurance package with one of the leading Recreational Vehicle insurance companies. Give us a call or use our secure quote form for a no obligation quote. Let our experienced, professional staff help get you covered so you can focus on that next adventure! We can service your motor home needs in Tahlequah, Oklahoma including the Cookson , Hulbert , Muskogee, Stilwell, and Welling areas.